The course assumes you have some sailing experience and are looking to move into keelboat sailing.T he course assumes you have some sailing experience and are looking to move into keelboat sailing. At the end of the course you will be familiar with all the workings of a keelboat in action, the sailing area, mooring, docking and all the jobs aboard. This is a basic course that trains applicants to become a competent keelboat crew. customized sessions can be arranged. Course fee includes course material & certification. Open to CSC members & non-members. Able to swim at least 50m without a personal flotation device. Minimum age of 15 years old. 1:4 (Minimum of 2 students to start the course). Level 1 Competent Crew Certification from SingaporeSailing. All training equipment are provided. Arrangement can be made for groups with a minimum of 4 participants on requested dates and the availability of the instructor. Full payment shall be made 2 weeks before course date to secure a seat. 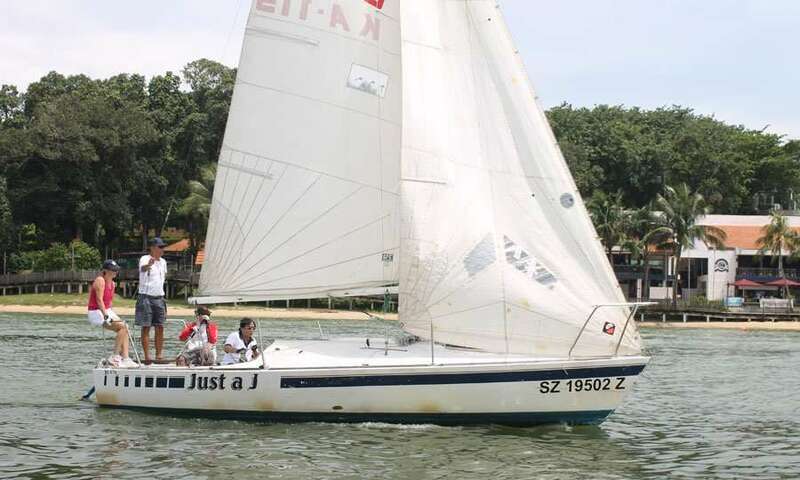 Changi Sailing Club reserves the right to cancel specific sessions due to lack of participation. For booking, please download the Registration form and return the duly-completed form via fax:6542 4235 or email: enquiry@csc.org.sg to the Office for confirmation.